MOSCOW, May 8 (Reuters) - Russia's lower house of parliament confirmed former president Dmitry Medvedev as prime minister on Tuesday, completing a job swap with Vladimir Putin that has sparked protests against the two leaders' grip on power. The approval vote, comfortably won by Medvedev as Putin looked on, ignored growing concern in the country that keeping power in the hands of the same men who have led Russia for the past four years will bring political and economic stagnation. The vote in the State Duma, the lower house, was held under tight security, with camouflage-clad riot police guarding the building near Red Square and police trucks and buses parked nearby. 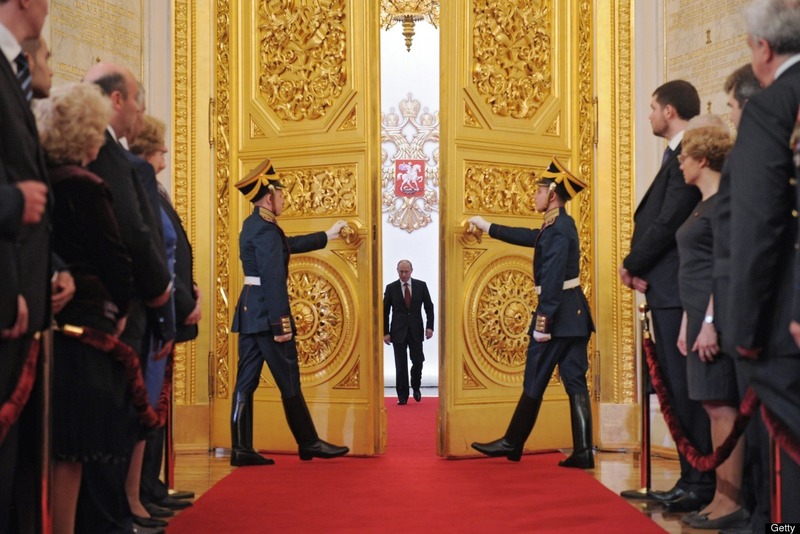 Medvedev stood and nodded his gratitude to Duma deputies and then shook hands with Putin. The president smiled and applauded the outcome of the vote, one day after he was sworn in as president for a six-year term. Medvedev, 46, had told the chamber before the vote that Russia must reduce red tape, crack down on corruption and protect property rights to improve the business environment and become more competitive against the top world economies. "The attitude to business in this country must change	drastically," he said before the approval vote. He also promised to be open to dialogue with his political opponents, although it was not clear whether he had in mind the non-parliamentary opposition, which has organised the biggest protests since Putin first rose to power in 2000. They have been friends since working together in the St Petersburg city authorities in the 1990s, and Putin steered the younger man into the Kremlin in 2008 because he was barred from a third successive presidential term himself. But Medvedev will be a less influential prime minister than Putin, who has remained Russia's dominant leader for the last four years even though the presidency has much more power, including command of the armed forces. Putin displayed his dominance of the political system by taking the floor after the proceedings to give his own answers to questions deputies had put to Medvedev. None of the deputies asked about the protests in their questions to Medvedev, focusing instead on issues such as the pension age and state support for science. Putin and Medvedev face a huge challenge in modernising the country and reforming the $1.9 trillion economy to reduce its heavy dependence on energy exports, which makes it vulnerable to any reduction in the global price of oil. Putin set out their intentions on Monday by ordering the government to boost investment and shake up state-run industries to usher in a "new economy". He also set long-term goals that included raising capital investment to no less than 25 percent of GDP in 2015, from the current level of 20 percent, and creating 25 million high-productivity jobs by 2020. An array of decrees also set goals of making life easier for ordinary Russians, including raising wages for state workers, making mortgages cheaper, expanding kindergartens and improving health care.